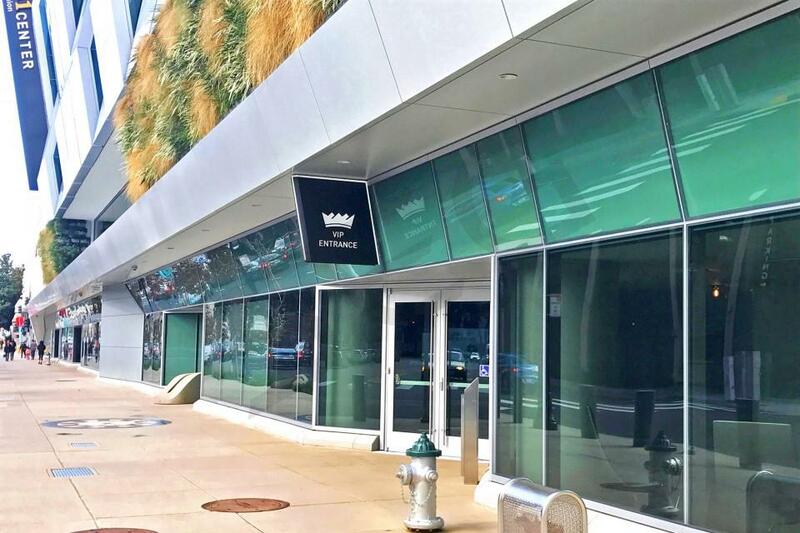 How much do Kings suites cost? Pricing for luxury suites at the new Golden 1 Center in Sacramento will vary based on event (opponent), suite location, and day of the week among other factors. 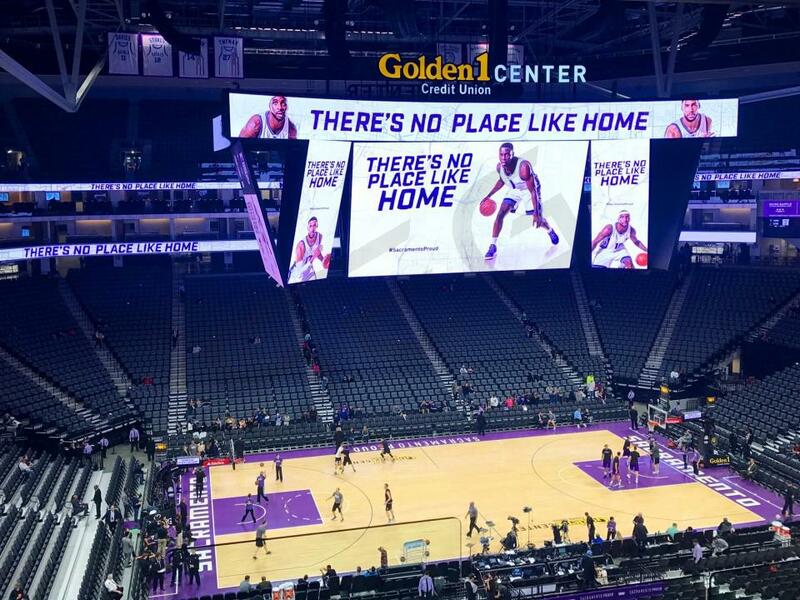 For most Sacramento Kings games pricing suite prices will be $4,000 - $8,000. A Loft Suite at the new Golden 1 Center is perfect for small gatherings. Located on the lowest suite level, Loft Suites are smaller and more intimate than standard Luxury Suites. Loft suites include a mix of plush fixed seats and bar-stool seating at an elongated high-top table. All seating faces the court. Behind the seating, guests will find a buffet set up for food and beverages in addition to an HDTV. Guests who rent a Loft will be afforded private entry, VIP parking and a dedicated suite attendant to help with your game day necessities. Premium catering can be ordered in advance for all events at an additional cost. 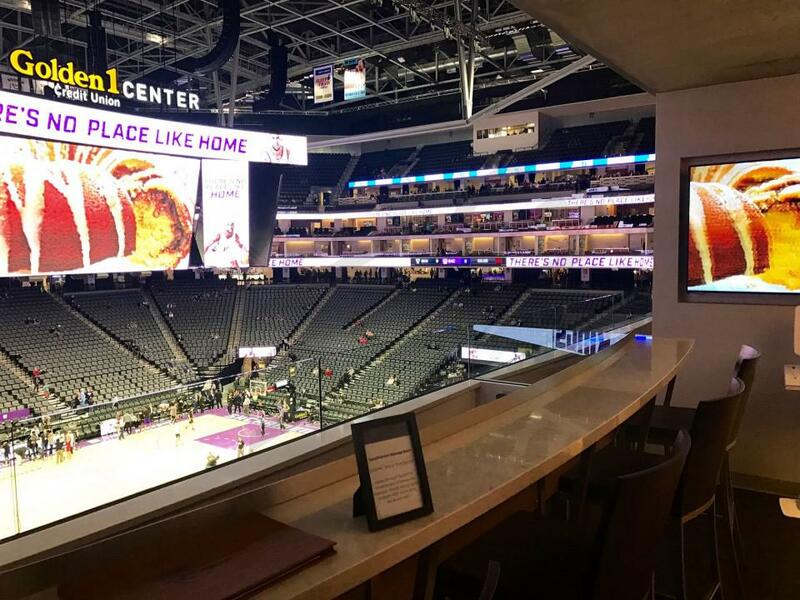 Luxury Suites at the newly opened Golden 1 Center provide a spacious environment featuring upscale furnishings and amenities. Luxury Suites include plush leather seats facing the court, a well-equipped kitchenette, two HDTV's, and a private bar. Guests can mingle around a centrally situated community island. Included with your suite rental is access to VIP entrances, parking lots, and exclusive stadium clubs. 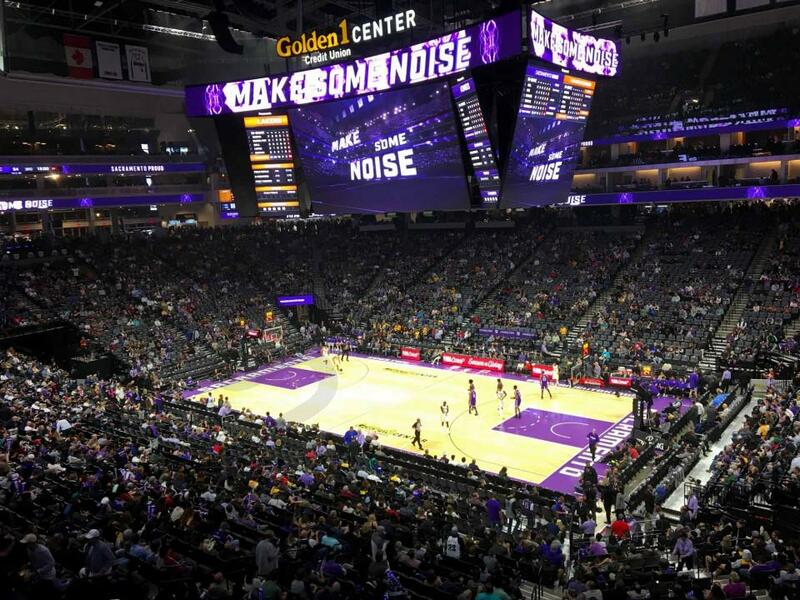 This section contains additional information, tips, and suggestions for planning or hosting an event at the Golden 1 Center. 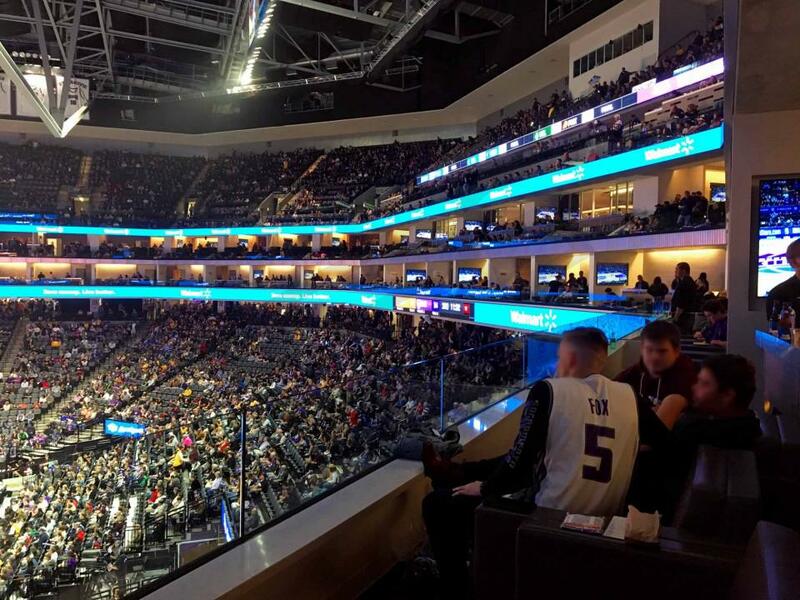 There are plenty of unique VIP seating options at the Golden 1 Center. The arena contains 2 main suite levels; standard Luxury Suites and Loft Suites. Suite capacity at the Golden 1 Center will range widely from 8 person, "living room style" Loft Suites, to main-level Luxury Suites accomodating 17-30 people. The suite levels at Golden 1 Center are stacked directly on top of one another. Luxury Suites are perfect for entertaining larger groups. Luxury Suites generally accomodate 17-22 people depending on suite location. Luxury Suites offer a spacious environment complete with 12 fixed, plush leather seats facing the court. Behind the fixed seats you will find an elongated high-top table situated with 5 high-top chairs also facing the court. Luxury Suites feature an upscale kitchenette and a centrally located community island perfect for socializing. Inside your suite you will also have access to a refridgerator, two HDTV's, and an electronics charging station. Restrooms are located just outside of the suite on the private suite concourse. Loft Suites at the Golden 1 Center are a smaller, more intimate alternative to Luxury Suites. Loft Suites seat 6-8 guests at an elongated high-top table facing the court. Loft Suites are one level closer to the court providing a spectacular view of the action. The Golden 1 Center also has limited open-air Bridge Loft Suites at one end of the arena. Bridge Loft suites are connected to the Croft Lounge on the highest suite level. Both suite levels wrap around the entire venue. The Luxury Suite Level is stacked directly above the Loft Suite Level. Both suite levels are accessible by stairs or elevator. Luxury Suites are located on Level 5, while Loft Suites are located on Level 4. 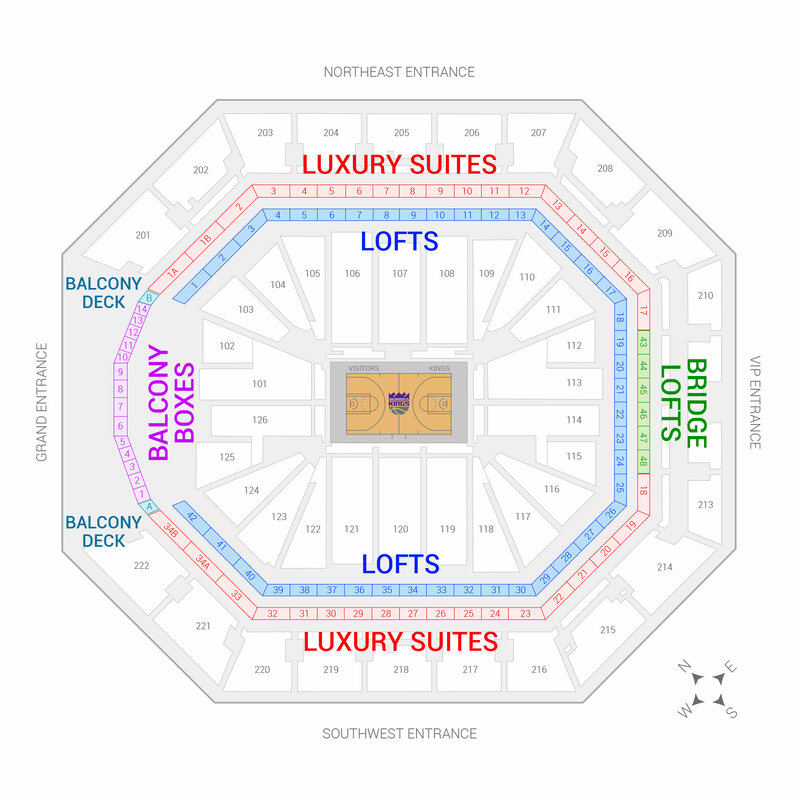 The Golden 1 Center has 48 Loft Suites and 34 larger Luxury Suites on the main suite level. The open-air Bridge Level Suites are located behind the base line at the south end of the arena. Costs for private suites at Golden 1 Center vary depending on the suite type, suite location, matchup, event, and day of the week. Third-party events such as Supercross can sell for as low as $3,000 while most Kings games typically range from $4,000-$6,000. Full catering options are available for all suite options in the arena. Suite catering is handled by Legends Hospitality, one of the largest restaurant and catering companies in the country. 90% of food and beverage ingredients are locally sourced within 50 miles of the city of Sacramento. Suite Experience Group is happy to assist you with catering recommendations. Our average client spends between $1,500 and $2,000 on in-suite catering. Guests will also be able to order additional food & beverage from your suite attendant once inside of the suite. All suite ticket holders have access to 5 private suite level bars. Cask and Alchemy are private gathering areas segregated off the main suite level. Cask and Alchemy have a trendy, modern vibe, and are perfect for small intimate gatherings. The Elms Bar boasts two locations with full service bars and contains seating perfect for casual mingling. Both Elms locations offer a great view of the court. The final private bar available to suite guests is the Croft Lounge. Croft features a rustic design and full bar. Unique to Sacramento, the Golden 1 Center also hosts the Sierra Nevada Draught House - the Draught House features seasonal Sierra Nevada draught beer served from two separate bars. The Golden 1 Center has a spectacular, state-of-the-art jumbotron that nearly spans the entire length of the court. The jumbotron is 84 feet in length and live streams play on the court. The graphics and visual optics are spectacular; it is without a doubt the most impressive visual display board in the NBA. There is no special dress code in the luxury suites. Suite guest attire is similar to attire worn outside of the suites - some fans are dress casually while others are dressed in more business appropriate attire. Suites at Golden 1 Center come with VIP Parking Passes which will grant you and your guests parking in VIP lots close to the arena. Guests without VIP passes will have plenty of event parking options around the venue. Event lots typically range in price from $15-$25. If you have a larger group, bus drop off can be arranged - your Suite Experience Group representative will be happy to assist with coordination. VIP entrances open 1.5 hours before tipoff for Sacramento Kings games. Suite guests may remain in their suites for up to an hour following the conclusion of the game or event. The VIP entrance is located off L Street and 6th Street. Upon entry, guests can take the elevator up to the 4th Level (Loft Suites) or 5th Level (Luxury Suites). The Golden 1 Center is well-staffed and happy to assist with directions. The Sacramento Kings enter the 2018-19 season with a new wave of optimism. The youth movement is real in Sacramento, led by rookie Marvin Bagley III. Throughout the entire Kings roster two things are consistent: youth and athleticism. In the backcourt the Kings are led by second year point guard De’Aaron Fox. The electric lefty can blow by anyone off the dribble and has a soft touch around the rim. Fox showed tremendous potential in his rookie season, averaging just shy of 12 points and 5 assists per game. The former fifth overall pick will look to continue his development as a player and a leader, despite being just 20 years old. Fox is joined by sharpshooter Buddy Hield in the backcourt. Hield has enjoyed great success in Sacramento, shooting 43% from downtown as a King. This season will be huge for the development of both young guards. At small forward the Kings have a pair of lengthy, talented second year players. Bogdan Bogdanovic enjoyed a very good rookie season last season, a year in which he earned All-Rookie Second Team honors and was named the Rising Stars Challenge MVP. The Kings have high hopes for their Serbian swingman in 2018-19. Former UNC Tar Heel and national champion Justin Jackson will also get minutes behind Bogdanovic. He too will look to build off his rookie season in year two. All of the attention will be on Marvin Bagley III this season. The former Duke star heads to Sacramento after the Kings used the second overall pick to draft him. He is a tremendous athlete who can find so many ways to score. Like Fox, Bagley is an athletic lefty who loves to run the floor. The Kings are hoping Bagley turns into the superstar they so desperately need. In addition to Bagley, another big man from Duke will be entering his rookie season with the Kings - Harry Giles. Giles was a first round draft pick in 2017, but he missed all of last season due to injury. The Kings fully expect to have two of the top contenders for Rookie of the Year in 2018-19. Rounding out the frontcourt are Willie Cauley-Stein and Zach Randolph. Cauley-Stein made major strides last season, boosting his stats to 13 points and 7 rebounds per game. As for Zach Randolph, what can’t this man do? At age 37, Z-Bo has completely reformed his game and was a consistent contributor for this young Kings team. He averaged 15 points, 7 rebounds, and even started making one three pointer a game. On a team filled with young, inexperienced players, it’s nice to see Zach Randolph carve out a role like he has. Golden 1 Center suites are some of the finest in the NBA, offering an ideal space to entertain clients or friends and family. 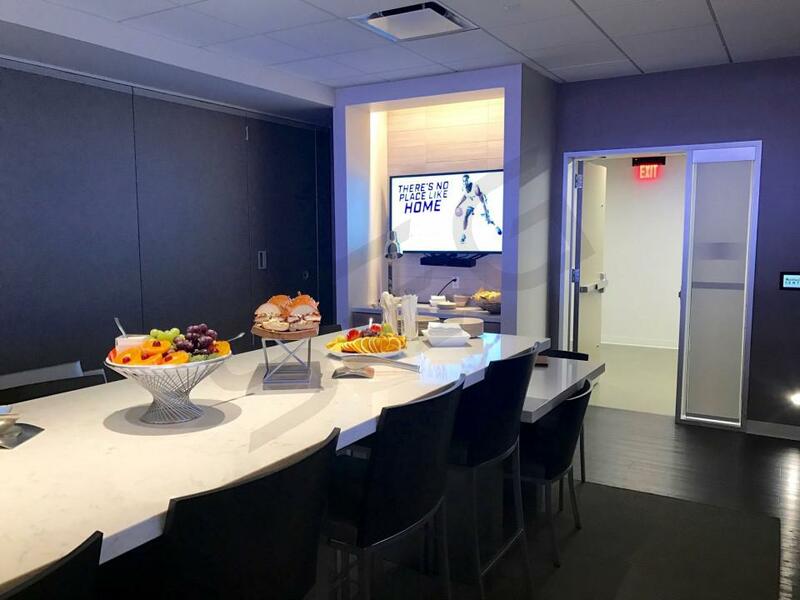 Golden 1 Center luxury suites come with customizable catering options, comfortable lounge and stadium-style seating, a private restroom, a wet bar, and HDTVs. Suite tickets will also provide owners with access to VIP clubs inside the stadium and entry to the arena through a private entrance. 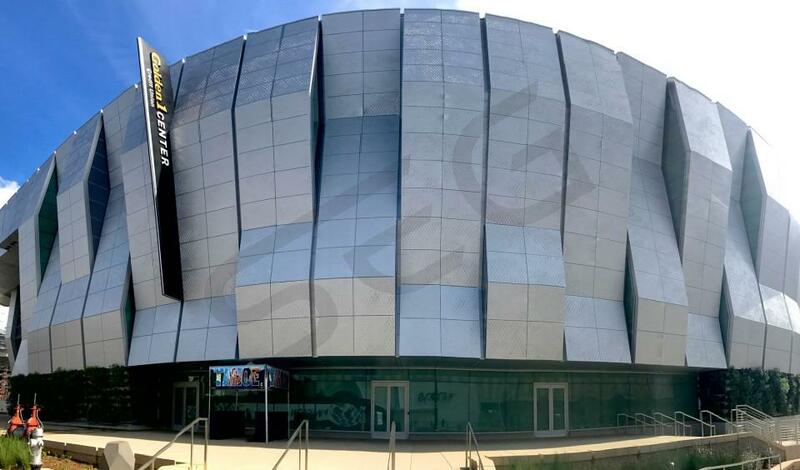 After 30 years in Sleep Train Arena, the Sacramento Kings have moved to a brand new arena; The Golden 1 Center. The Golden 1 Center is one of the most technologically advanced and environmentally friendly arenas in the league. It is 100% solar-powered and even has its own mobile app to navigate bathroom lines and concession stands. On the court, forward DeMarcus Cousins is undoubedtly the center-piece of this Kings team. He is, perhaps, the best center in the NBA. Last season, Cousins averaged career-highs of 26.9 points per game, 11.5 rebounds per game and 1.4 blocks per game. Cousins even added a 3-point shot to his already wide-ranging repertoire. New head coach Dave Joerger should be thrilled to be able to work with an elite talent like Cousins. Also returning are wings Rudy Gay and Ben McLemore who provide shooting and playmaking ability. Center Willie Cauley-Stein showed tremendous promise last season as a rim-running and defensive minded big man. Cauley-Stein dunked practically everything in sight and showed the ability to defend almost any position. In the offseason, the Kings brought in point guard Ty Lawson and shooting guard Arron Afflalo. Lawson should be a quality backup point guard who will stabilize the second unit while Afflalo will be a quality defender and shooter off the bench. In the draft, Sacramento acquired wing Malachi Richardson, center Georgios Papagiannis and power forward Skal Labissiere. If each of those youngsters develops the way the Kings hope they will, they should be excellent NBA players. 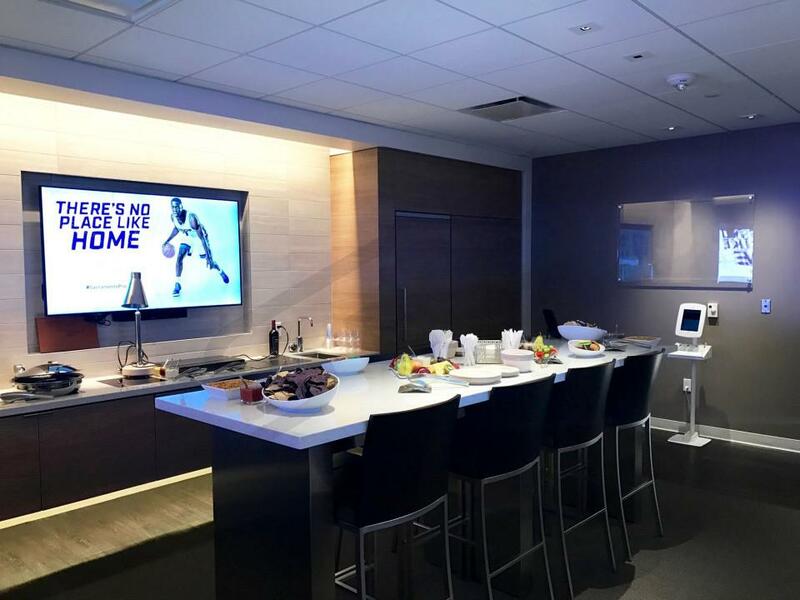 Suites at the Golden 1 Center are some of the finest in the NBA offering an ideal space to entertain clients or friends and family. 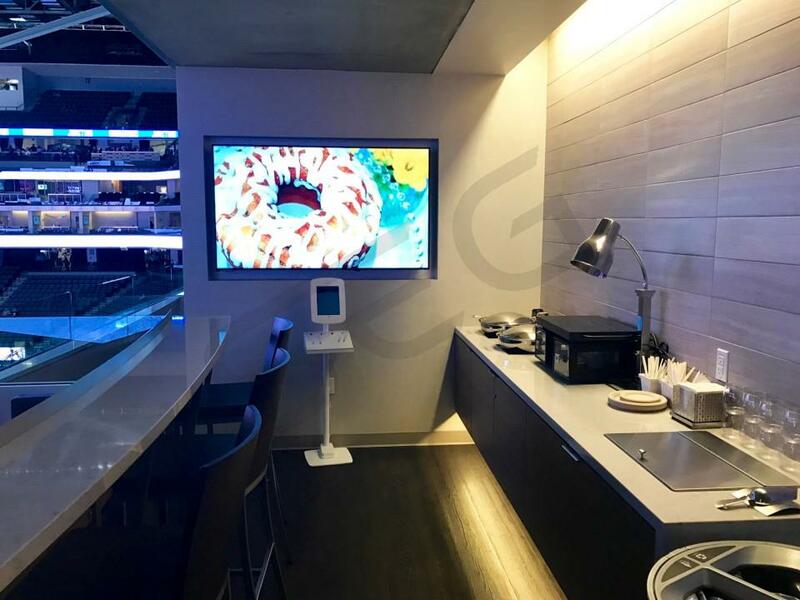 Boxes at the Golden 1 Center come with customizable catering options, comfortable lounge and stadium-style seating, a private restroom, a wet bar, and HDTVs. Suite tickets will also provide owners with access to VIP clubs inside the stadium and entry to the arena through a private entrance. The Golden 1 Center will also Mana, Jimmy Buffett and Maroon 5 concerts as well. Thank you for signing up for specials at Golden 1 Center. Enter your email address below to stay in touch. We'll sign you up for our newsletter, which will inform you of the latest inventory and events at Golden 1 Center. We promise we will never sell or distribute your information. The seating chart below shows where the Sacramento Kings suites at Golden 1 Center are located.